LA MER The Powder 8 g.
LA MER The Powder, Luxurious finishing powder,Translucent coverage. This luxurious finishing powder, formulated with our potent Miracle Broth, is so incredibly light, it appears to float. Developed with symmetrically shaped, uniquely coated particles, it magnetically attracts to the skin for a perfect fit. Skin looks radiant while air-spun seaborne particles - some of the lightest materials on earth - create an imperceptible finish to help skin appear flawless. 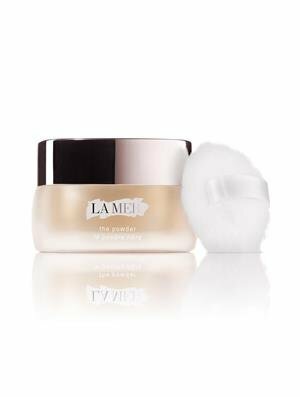 If you have any questions about this product by La Mer, contact us by completing and submitting the form below. If you are looking for a specif part number, please include it with your message.